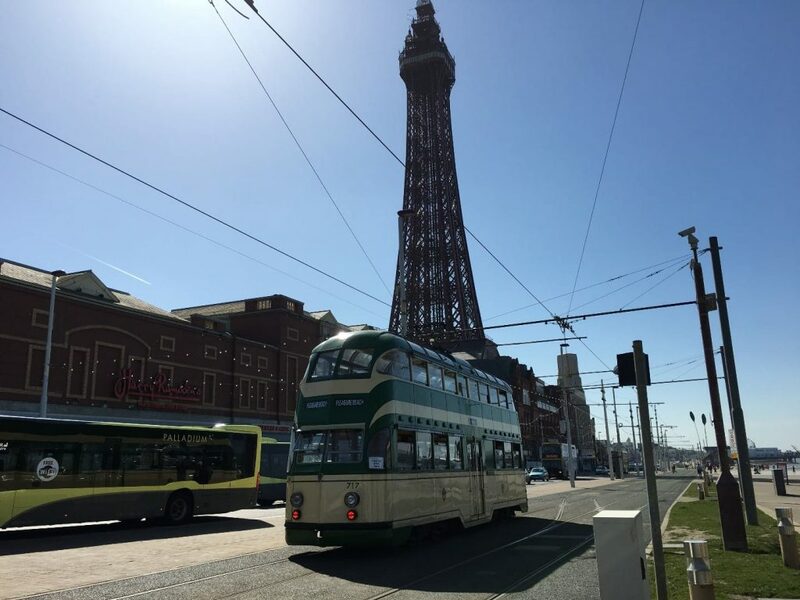 Blackpool Heritage Tram Tours are a brilliant way to take in the sights and the Lights. Travel the promenade and enjoy an iconic, traditional part of Blackpool. Details of special events below, plus don’t forget, Heritage Trams run each weekend! 12 & 19 April, 24 & 31 May, 26 July, 2, 9,16 August, 6, 13,20, 27 September, 4, 11, 18 October. This chilling tour takes place on FRIDAY evenings, with a journey from Blackpool to Fleetwood and back. Begins at 7.30pm from North Pier Heritage Tram Stop, lasts approx 90 mins. 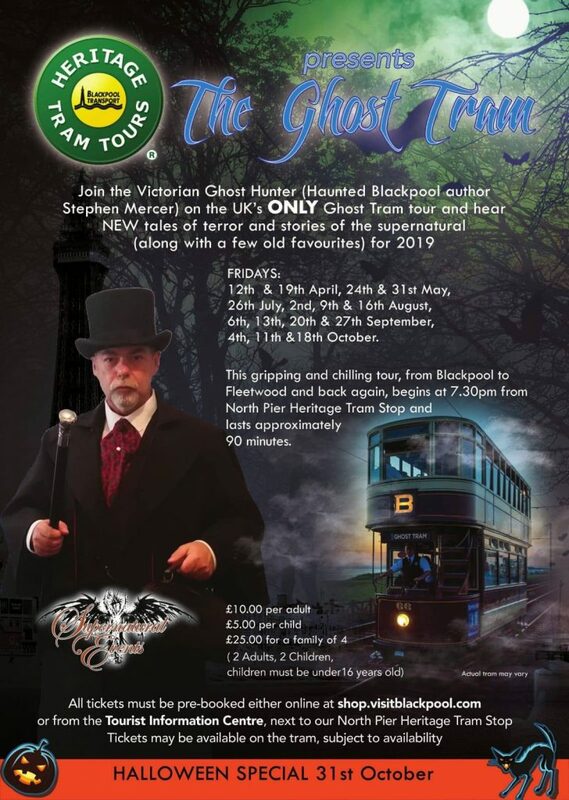 Join the Victorian Ghost Hunter Stephen Mercer on the UK’s ONLY Ghost Tram Tour and hear NEW tales of terror and stories of the supernatural (along with a few old favourites) for 2019! All tickets must be pre-booked either online at shop.visitblackpool.com or from the Tourist Information Centre at Festival House, next to our North Pier Heritage Tram Stop. See poster for full details. Frequent Heritage Tram Tours every 10/20 minutes between 10am and 5pm from Friday 19th to Monday 22nd April. There’ll be a wide variety of Heritage Trams in use. Single tour tickets or Heritage Travelcards are available. Heritage Tram souvenirs on sale. Treasure Hunt on Saturday and Sunday. The Great British Night Out! 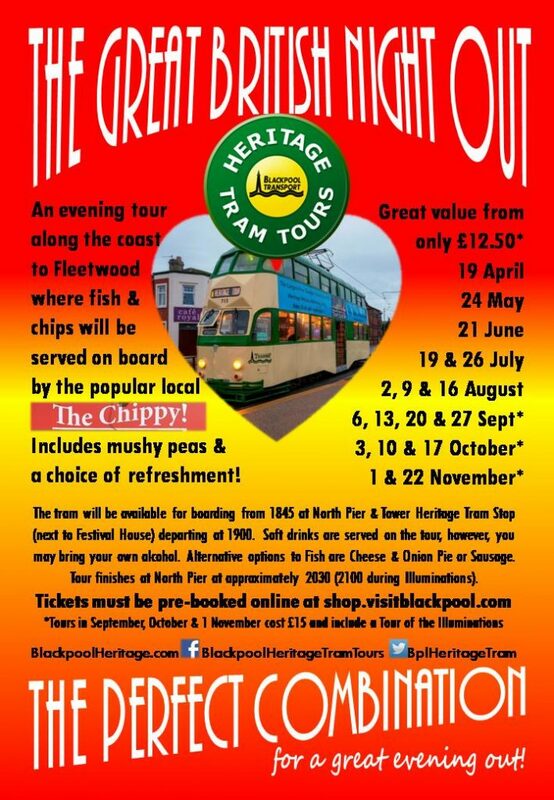 An evening tour on a heritage tram, complete with a fish and chip supper! Board the tram from 6.45pm at North Pier and Tower Heritage Tram stop (next to Festival House), departing at 7pm. Enjoy an evening tour along the coast to Fleetwood, where fish and chips will be served on board by The Chippy, including mushy peas and a choice of refreshment. Tours finish at North Pier at approximately 8.30pm (9pm during Illuminations). Great value – only £12.50 from April – August. Dates from Sept – Nov are £15 and include an Illuminations tour. Frequent Heritage Tram Tours every 10/20 minutes from 10am to 5pm. 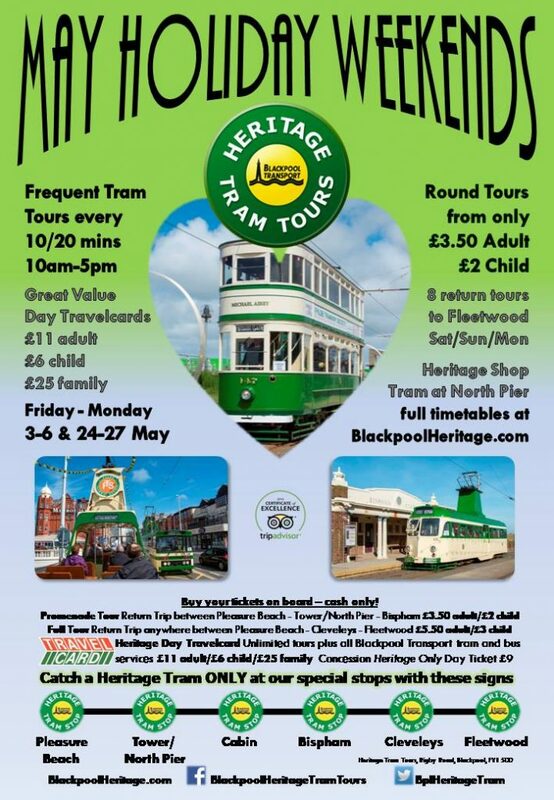 Eight return tours to Fleetwood Sat, Sun and Mon. Heritage shop tram at North Pier each day. Great value day Travelcards for sale. See poster for full details. 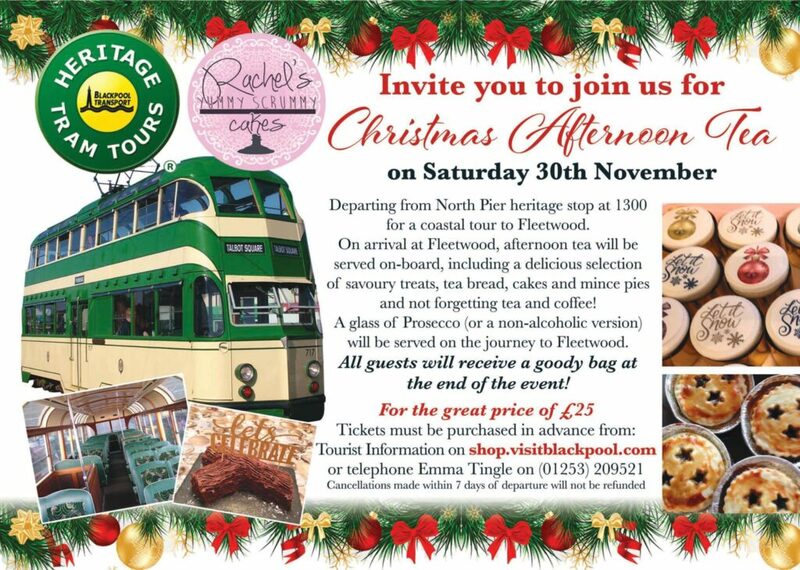 In partnership with Rachel’s Yummy Scrummy Cakes, join Heritage Tram Tours for afternoon tea aboard a Heritage Tram. 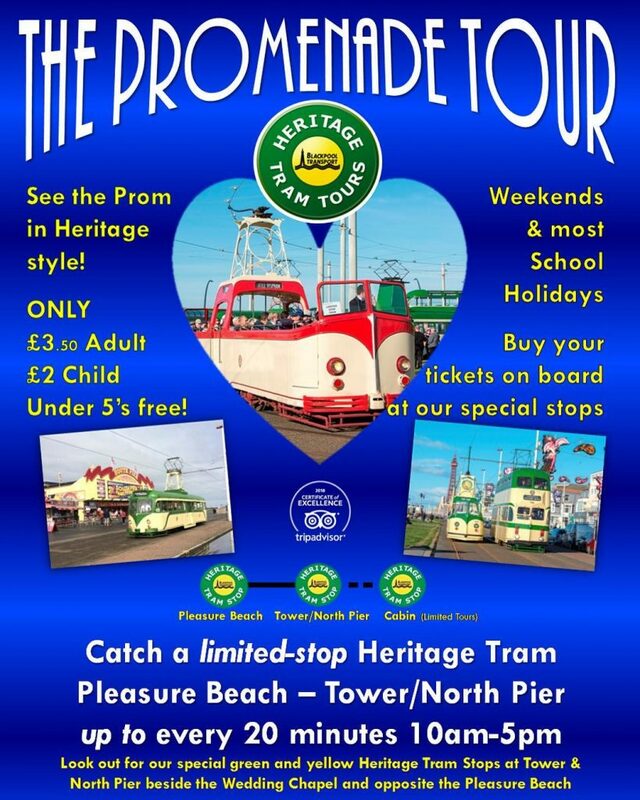 From North Pier Heritage Tram Stop at 1pm, for a coastal tour to Fleetwood. 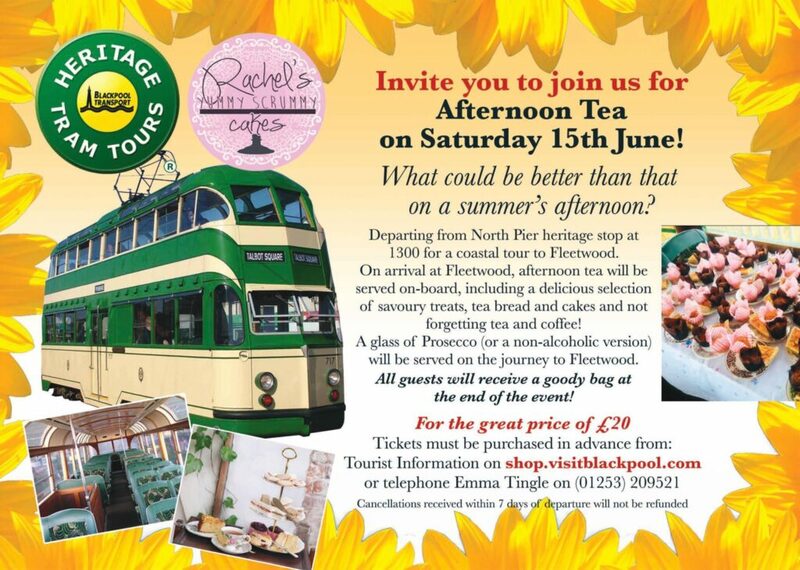 Afternoon tea served on board the tram, and all guests receive a goody bag at the end of the event. Tickets must be purchased in advance from shop.visitblackpool.com or telephone Emma Tingle on 01253 209521. 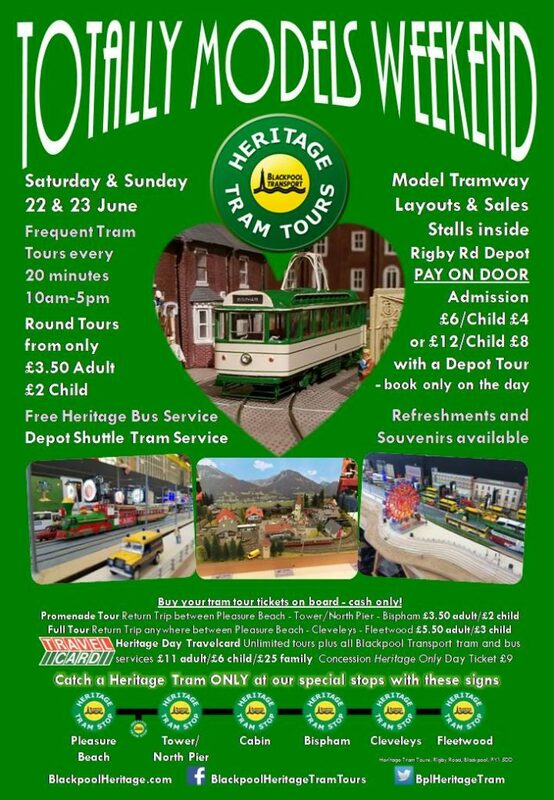 Model Tramway layouts and sales stalls inside Rigby Road depot – pay on door. Frequent Heritage Tram Tours every 10/20 minutes between 10am and 5pm. Single tour tickets or Heritage day Travelcards available. Free Heritage bus service. Depot shuttle tram service. See poster for full details. It’s back again this year! 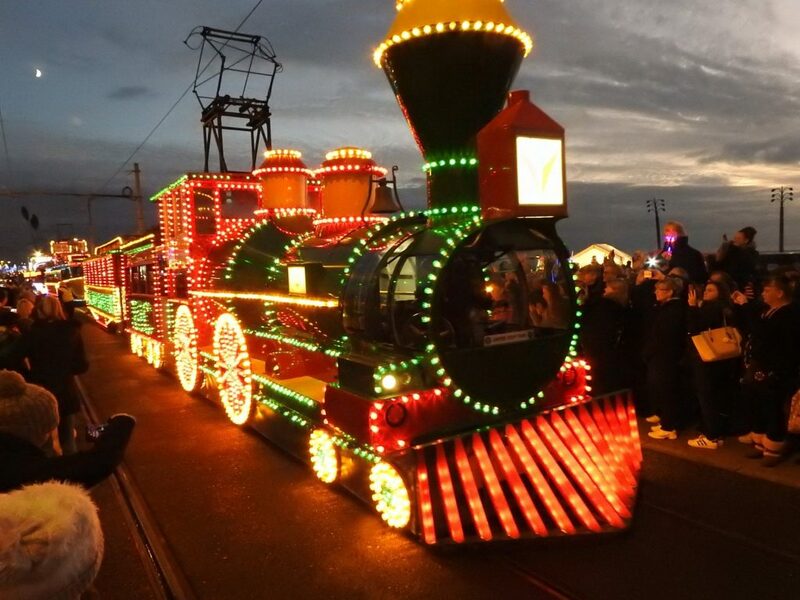 See your favourite Illuminated Heritage Trams travelling in convoy along the Golden Mile. 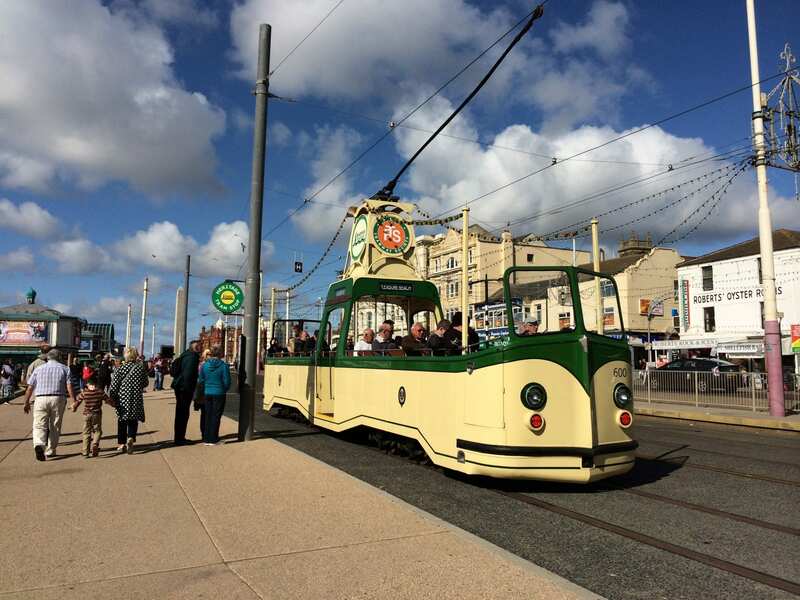 The Blackpool Heritage Tram Driving Experience. 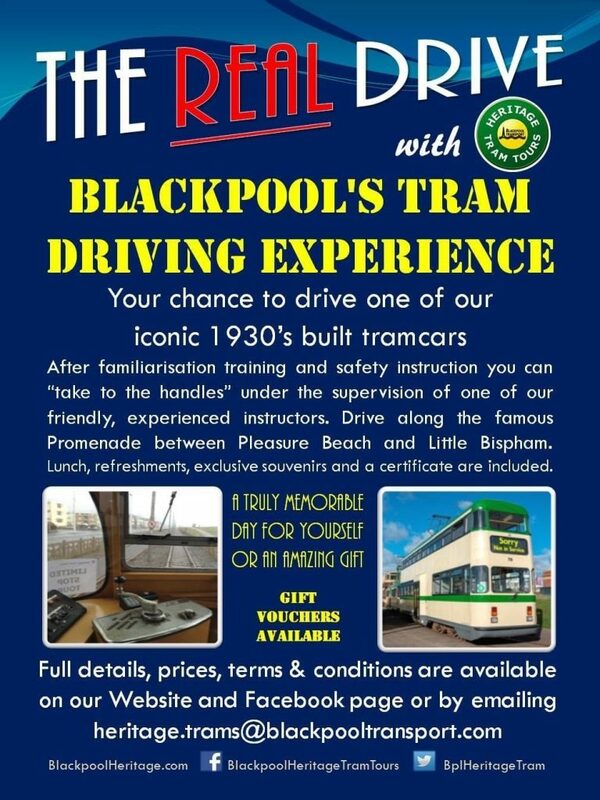 Your chance to drive an iconic tramcar, built in the 1930’s! After familiarisation, training and safety instruction, you can ‘take to the handles’ under the supervision of one of our friendly, experienced instructors. 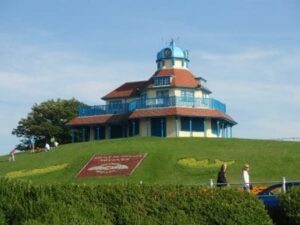 Drive along the famous promenade between Pleasure Beach and Little Bispham. Lunch, refreshments, exclusive souvenirs and a certificate are included. A truly memorable day for yourself, or an amazing gift. Gift vouchers available. 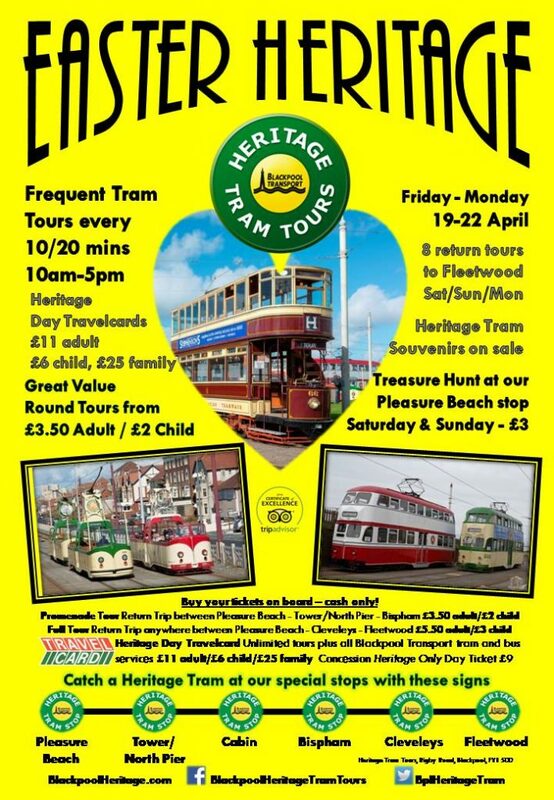 Email for full details – heritage.trams@blackpooltransport.com – please mention you saw it on Visit Fylde Coast!  Blackpool Heritage Trust is always fundraising. They can’t continuously improve the fleet without your help so a BIG thank you goes to everyone who helps. Subject to availability, our Promenade Tours on Saturday 27th will feature Standard 147 and Brush 621, and on Sunday 28th we will have Railcoach 680 and Balloon 723 out. Please note the open Boat cars will substitute if the weather allows. Today we welcomed our first candidate for the "Real Drive", the new Blackpool tram driving experience! Stuart was the lucky chap to get the first slot, and help us kick off our new venture. 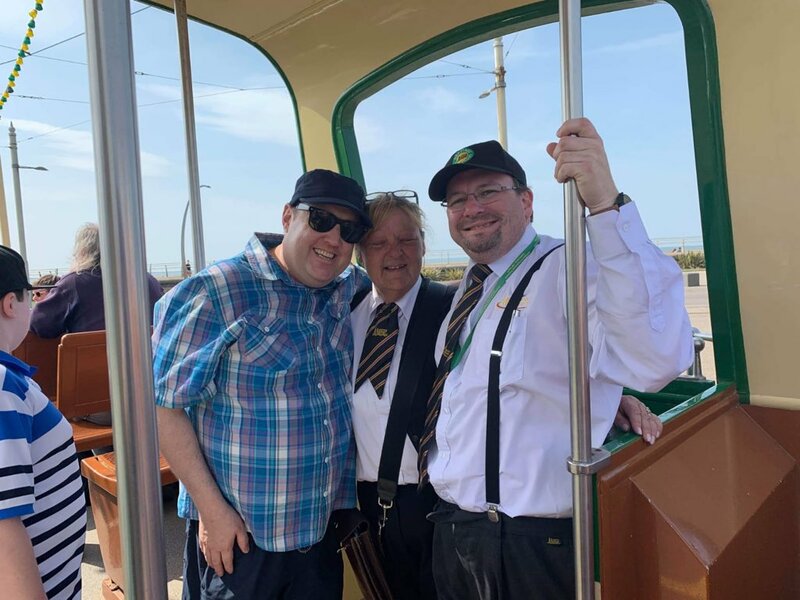 After familiarisation training and safety instruction, Stuart "took to the handles" as he drove Balloon tram 700 under supervision along the tramway between Pleasure Beach and Little Bispham completing three round trips in total (with a nice break for lunch, of course!). Thanks again to Stuart for being our "first" candidate, and for allowing us to use his picture - seen here receiving his "Real Drive" certificate from instructor James Millington.